GATE is one of the most eminent and prestigious exams for the engineering and science students who want to make a scintillating career for them. Every year, hordes of students used to appear for this exam so that they can enrol themselves to some prodigious institutes. Usually, this exam is conducted by the Indian Institute of Science and seven Indian Institute of Technology jointly every year. And a student can appear this exam in any number of times if the basic criteria are fulfilled by him or her. If you want to pass this exam with flying colours, then you should be very specific what to study and what to not. It is true that the syllabus for GATE is similar to what you have studied at your graduate and undergraduate level, but to recall it, you need some best GATE preparation books. To know, what are the best GATE preparation books, first, you need to know your requirement and interests. You should go for the books which have certain qualities. Though no book is bad or useless, still preparing for this competitive exam, you need to be very proactive and smart.Here are some tips for students self-studying for GATE 2019. The Best GATE preparation books have the following qualities. A good book is one which can easily readable by anyone. Because not everyone is aware of the jargons that are used in it. A good book should provide all the information correctly and precisely so that the aspirants can recapitulate them. Any wrong information can mislead the students. While you are preparing for GATE exam, you need to study many complicated and intricate theories and concept. So, it is very important that whosoever is explaining that concept in the book, should explain it precisely. This will help the students to understand it and remember it in the long run. A good technical book should try to avoid using the fancy or slick English language. Because the technical words are enough to cover for them. You should pick up a book which explains a situation or a question through diagrams or pictures. This will not only help you to understand the question but also help you to remember the answer for a long time. Now, we are going to mention some of the best GATE preparation books for every discipline. You might be astonished to know that GATE ECE paper has the highest competition among all. Every year, nearly 2.5 lacs candidate appear for ECE paper. So, if you want to score some outstanding results in your ECE paper, then you should know some of the best GATE preparation books for ECE. In this technology-driven era, computer science has become a popular choice for tech geeks and code lovers. If you want to score well in this subject, then you should know some of the good GATE preparation books for computer science. In the above article, we have mentioned some of the popularly used and best GATE preparation books for various streams. These books will help you to make a robust preparation for your upcoming GATE exam. But apart from self-study, you need some professional guidance to secure your rank in the GATE exam. 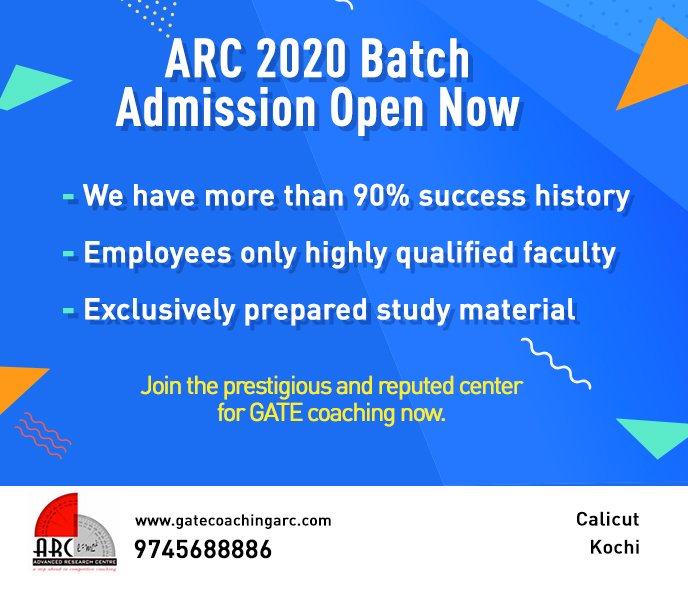 You may find many GATE coaching Calicut as well as other places in India. These coaching centres will help you to make a complete preparation for your GATE exam.